Specialists in Talent Solutions in Leadership and Management. All of OSI’s services are based on good science and practical application. Our products are derived from over 30 years of research with high performing leaders in successful organizations. 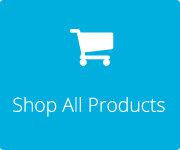 OSI products are scalable and customizable, allowing every organization to easily adapt and use them. Diagnosing and developing individuals, teams, and organizations. Let OSI help you stay current with best practices of leadership and management. Join today! Co-authored by our very own president/senior consultant, Bruce Griffiths, and our business partner, Enrique Washington. 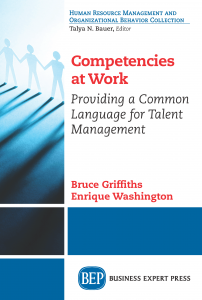 Competencies at Work is a thorough, yet digestible look at contemporary competency modeling. It will equip readers to understand, build, and implement buy cialis competency models as a foundational and integrating element in talent management systems. Readers will understand how competency models have evolved to be the current best-practice in defining criteria for all talent management applications such as selection interviews, promotion panels, assessment centers, job descriptions, and learning objectives. The book also provides specific guidance in the steps needed to establish a sustainable model, with research results on universal competencies contained in most contemporary models. Competencies at Work is available now through Business Expert Press. 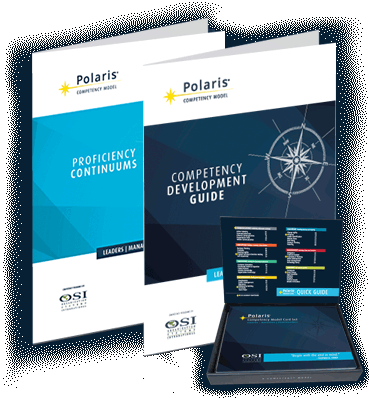 Polaris® Competency Model v4.0 is now available. Polaris® v4.0 is the freshest competency model on the market, and represents over three decades of research in over one hundred client organizations. This research has included thousands of interviews with top performers – those who are respected, deliver exceptional results, are likeable, and are passionate about their work. The OSI benchmark sample includes large multinational corporations as well as smaller regional organizations. The Polaris® v4.0 universal competency model can serve as the foundation for talent management systems by providing valid criteria and an integrating language across talent management applications. As research has shown, anything short of this common language suboptimizes all organizational talent selection, development, and appraisal systems as managers struggle with competing criteria for interviewing, training, and providing performance feedback.